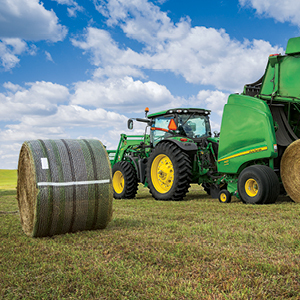 Now through December 31, 2018 save up to $12 per roll of John Deere CoverEdge™ and Edge to Edge™ net wrap! No minimum order required! Place your order by December 31, 2018 to take advantage of this offer. Contact your parts department today. 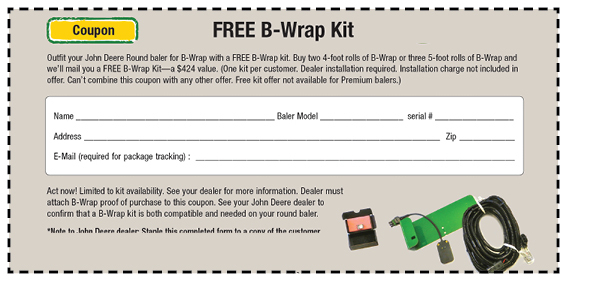 Print this coupon and present at any SEMA Equipment for a free B-Wrap kit – a $424 value!